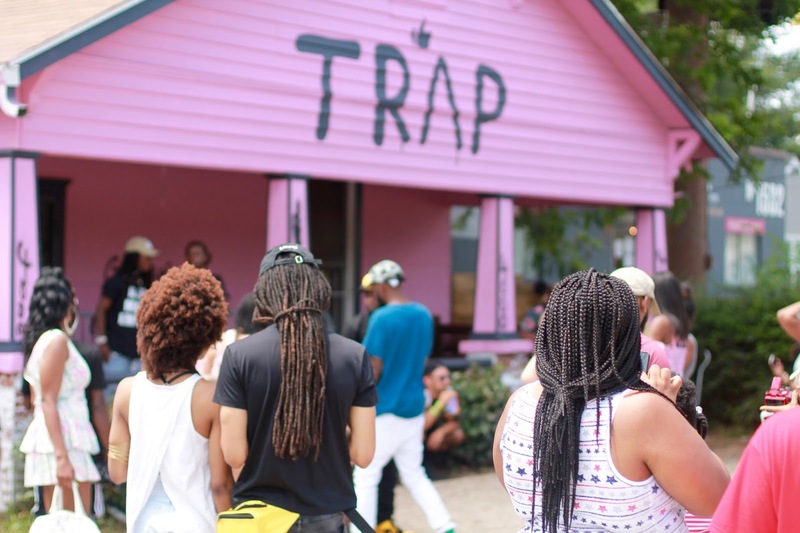 Everyone and their mamas have heard about 2 Chainz’s Trap House in Atlanta. 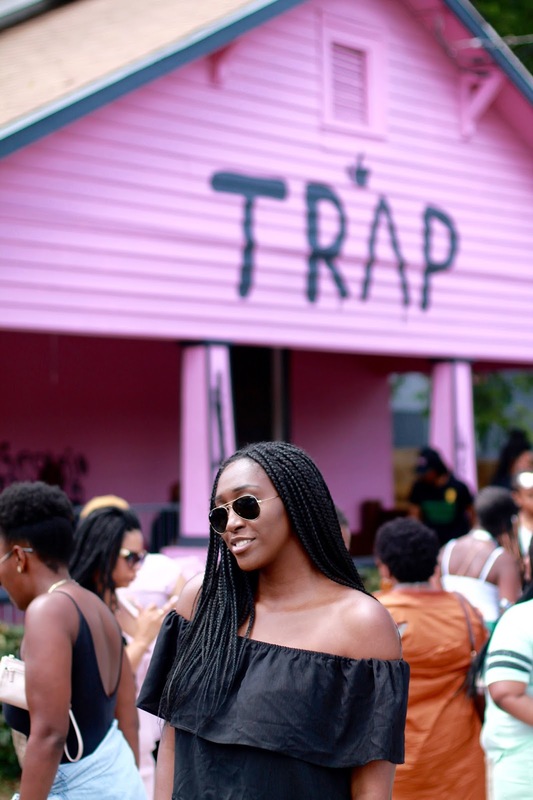 Obviously it is not an actually trap house… if it was, I definitely wouldn’t have taken pictures standing in front of it. What’s the story behind this bright pink house? 2 Chainz released his album, Pretty Girls Love Trap Music on June 16th. 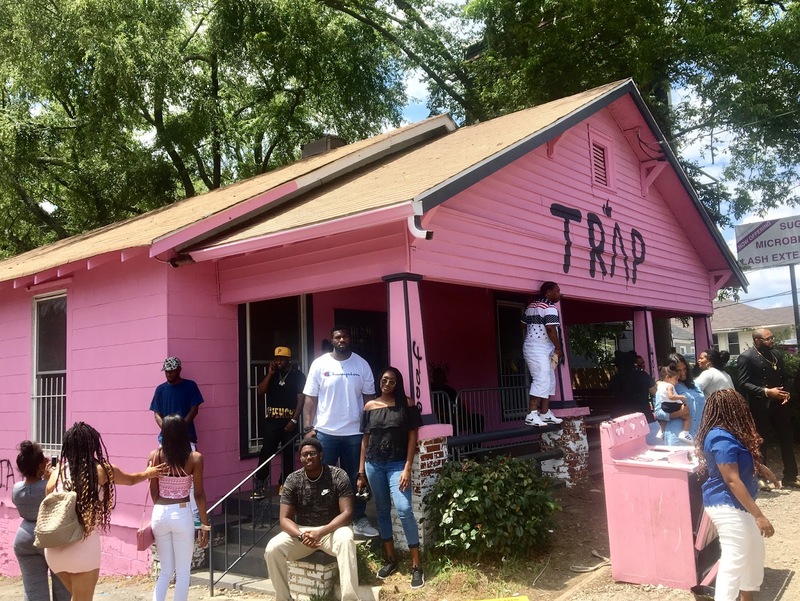 A big part of the promotion of his new album is this pink trap house. I honestly think this is one of the best marketing strategies, I have seen in the longest time. Pictures of people in front of the house are circulating everywhere. Therefore they are promoting the album without even meaning to. Kind of what I am doing right now by blogging about it. I’ve listen to the album and I already have some favorites. 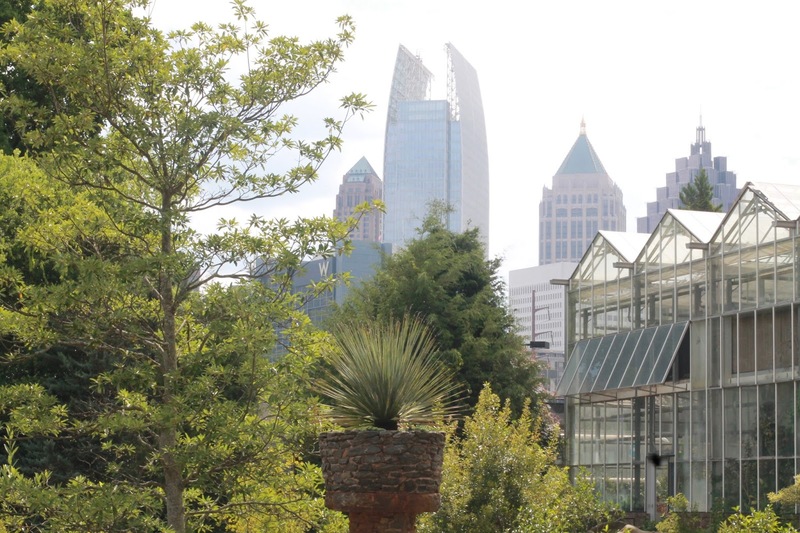 As you can tell from the pictures, it was very crowded but it was great seeing people take pride in something that is so uniquely catered to the people of ATL. Let’s face it, when something cool happens, it is always in Los Angeles or New York. 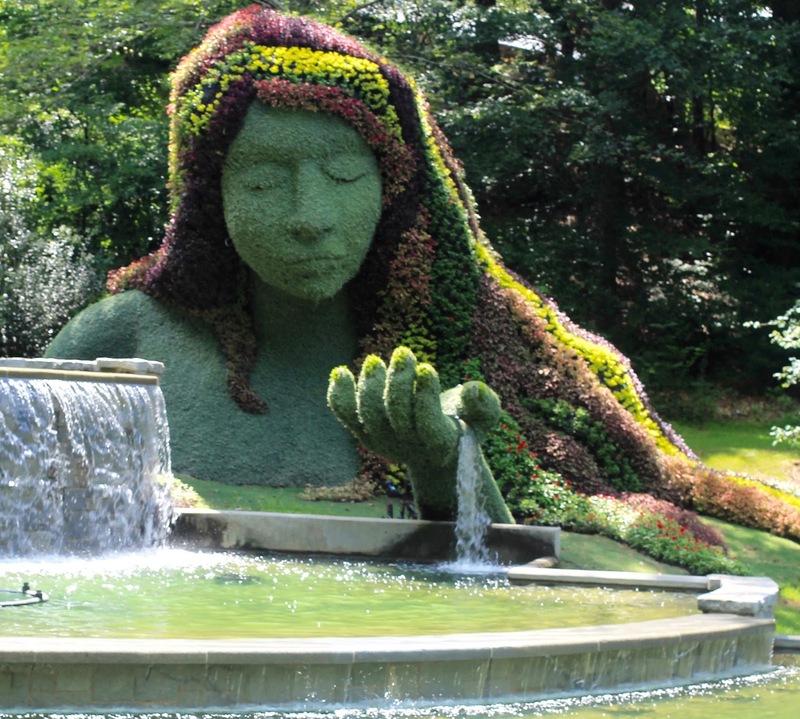 Finally, Atlanta has something that is a pop culture attraction!